I love poetry, especially the work of the American poet, Mary Oliver. I have been asking this question repeatedly for some time. The post on Brain Pickings is a lovely, quiet and refreshing reminder. Timely, as we are heading toward the next new moon, nature’s way of telling us, to start anew, and welcome fresh new beginnings. First, we are being called to rest a little, quiet down, find our own natural rhythm and come into Being mode. With it, follows the possibility of renewal to re-focus on the things that matter most in this one wild, precious life. Rest in stillness, even if it’s for a little while. Try it, stop, pause and rest for awhile and BE. Get out of your thinking mind, into your body, or take a walk in the woods, explore nature and see what happens. 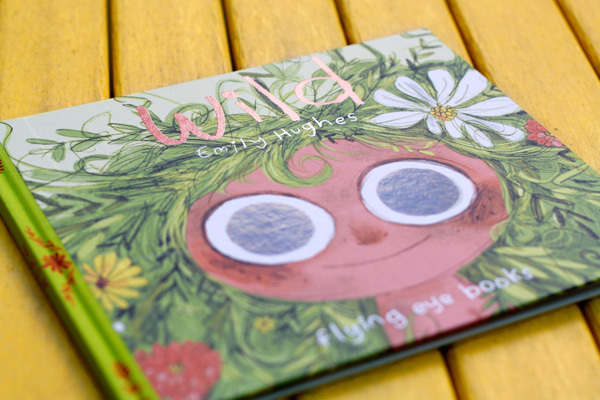 After things quiet down, a little, consider accepting the invitation and read the book WILD, by Emily Hughes. Emanating from the playful and poetic story is a clarion call to shake off the external should’s that shackle us and stop keeping ourselves small by trying to please others, to celebrate what John Steinbeck called “the freedom of the mind to take any direction it wishes, undirected”. First read it to yourself, your inner child, then to your children, then to your nieces and nephews and then to other children who need this right now. It’s a story about belonging and being different. As we embrace this one wild and precious life, let’s honor and love the differences within and between us.